The crime of uttering threats carries with it serious consequences, including the potential for imprisonment. 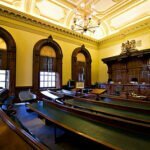 Quite often, allegations of uttering threats to cause bodily harm or death will arise out of a domestic dispute. In these types of cases, a special approach is required which takes into account the future needs of the parties and the public interest in preserving family harmony. For more information on domestic assault cases, read here. Daniel Brown is a certified criminal law specialist with extensive knowledge and experience defending against allegations of uttering threats. As such, he is often sought out by the media to comment on national and international stories on the subject. Daniel recently spoke with the Toronto Star about a high profile uttering threats case in the news. Daniel has also been successful defending numerous charges of uttering threats and threatening death or bodily harm. The following article briefly reviews the law surrounding uttering threats and threatening bodily harm charges in Toronto, Ontario and the surrounding regions. Those looking for specific advice on an utter threats charge should immediately consult with Daniel Brown at (416) 297-7200 to discuss your case. What is the definition of a threat? What if the threat isn’t said directly to the intended target, but to a third person? What is required to establish a threat in law? What if the recipient of the threat did not take the threat seriously? What if the threat was impossible to carry out? What are the consequences of an utter threats conviction? The accused need not utter the threat directly to the intended victim to be found guilty. Furthermore, when the accused does not utter the threat directly but rather threatens to harm the intended victim to a third person, it is not a valid defence to argue that the accused did not intend that third person to communicate the threat to the intended victim for the crime to be established. Indeed, it is not even necessary for the intended victim to be aware of the threat in order to be found guilty of the offence. The prosecutor must prove that the accused knowingly made the threat and that he/she intended the threat to be taken seriously so as to produce a reaction of alarm or fear in the mind of the recipient. In law, all that is required is that the person making the threat intended the threat to be taken seriously. The fact that the person receiving the threat was not intimidated or scared does not constitute a defense to the charge of uttering threats. Even in a situation where the accused makes a threat he could not carry out i.e. : ” I will drop you from the top of the C.N. Tower”, he may still be found guilty of the offence. The central focus for the judge in deciding whether or not a threat was made will be on the maker’s intention when the words were uttered (was it meant to be taken seriously so as to produce a reaction of alarm or fear in the mind of the recipient) – not on the present ability to carry out the threat. For individuals without criminal histories, the effect of a threatening bodily harm conviction on their livelihood, freedom, and future opportunities in life can be tremendous. It is important to remember that every allegation of uttering threats is a fact specific inquiry. Consulting a lawyer will assist you with identifying potential defences to this type of allegation. Call Daniel Brown at (416) 297-7200 to arrange a consultation about your case. What about a situation where a victim of severe abuse (and suffering PTSD) says something like: “I want to kill the person who did this to me.”? What if this is said in the grip of PTSD-triggered anger? Would be interested to know how the law provides for such situations.